In any business, in order for your product to be known to your market or the general market, you have to take the necessary steps to promote whatever it is that your selling.You may also see flyer designs. In fact, businesses would not survive alone without proper advertising, as it is what keeps the business alive and going- with all the hypes and buzzes acquired from different promotional tools and advertising campaigns. In this age of technology, promoting a product has now got a lot of platforms and opportunities, there are social media websites to thank for that. So what’s the best way to spread your message across? Traditional advertising- like flyers. Yes, traditional advertising is effective, not only in means but also in cost. Not everything should depend on social media, don’t get that statement wrong, each advertising strategy- social media included- has its own strengths and each has its own effectivity. As a matter of fact, right before social media came to be, businesses use the more traditional way to promote and, or advertise their products. They make sure that every targeted consumer is being reached or is being made knowledgeable of what is new in their business. That alone should be a testament to traditional advertising’s effectivity, as social media came decades after. Flyers are an effective promotional tool despite it being old-fashioned medium. As said earlier, it is not only effective in means but also in cost, this means that you are assured of a budget-friendly advertising and assured of the fact that your customers will get to see your ad. As stated, the assurance and certainty that you will be able to let your market be aware of your products that are there. 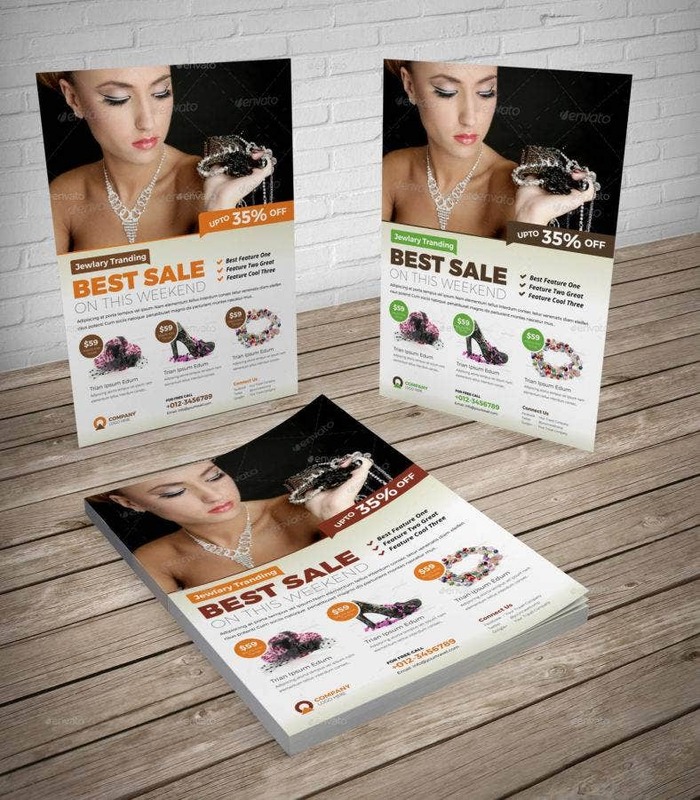 Flyers are also really cost-effective, they do not demand a lot of money if chosen as a promotional tool. If you opt for flyers as your promotional tool, the only thing you should be concerned about is the design of your flyer and the printing. Printing obviously does not cost a lot, but having someone design your flyer is. Luckily, there are premade designs that you can just buy and download and then customize to your own preference online. There is one for every seeking business owner. 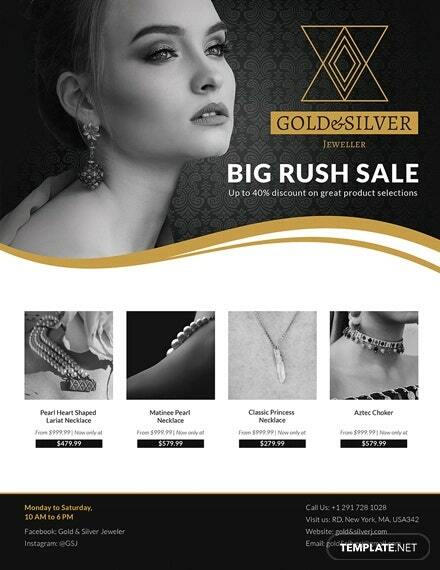 Let us say, you own and run a business of jewelry and you want to promote your collection of new jewelry and, or make people know of your markdowns. You are thinking that the best way in order for your products and message to reach its target market is through flyers, but you don’t want to spend a lot in having someone do the design for your flyers. So, you decide that you will just buy one that is premade online and customize it to fit your business’ brand. But the problem is, where are these pre-made designs and what are the best ones? 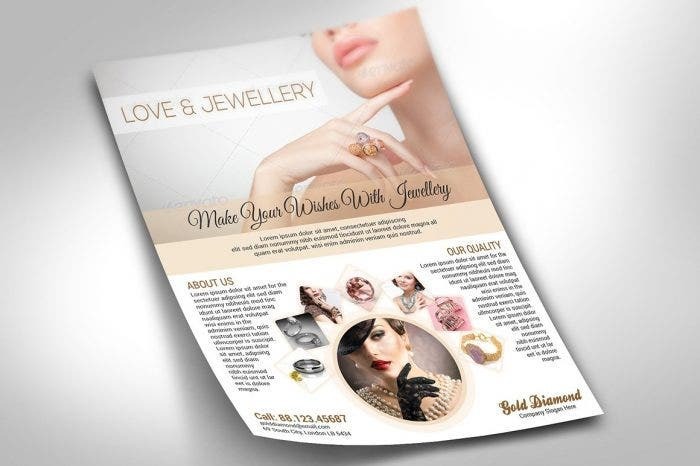 With that said, here is a list of flyer templates you can use for your jewelry business to make your advertising more effective. 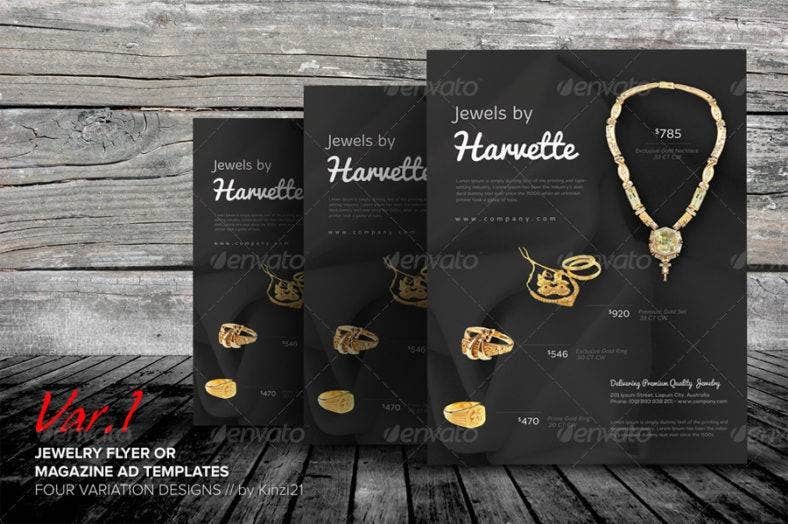 This design for your jewelry flyer is as luxurious as it can get, with the black and gold color combination. Nothing says more ‘luxe’ than these two colors in this flyer design. What is great about this specific design is you get to put a photo of a model wearing your product and three of your latest pieces or three of your latest markdowns. This flyer design is easy to customize and is fully editable. 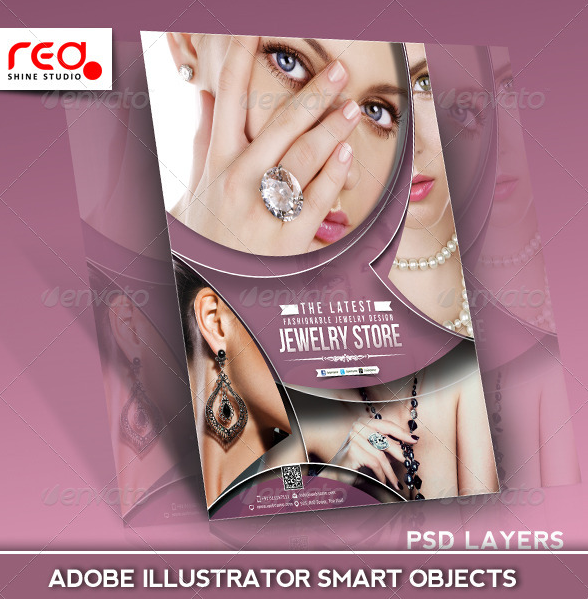 The ‘PSD’ file has smart objects wherein you can just simply replace with your own images. The neutral background of this flyer design helps in letting the images of your product stand out. 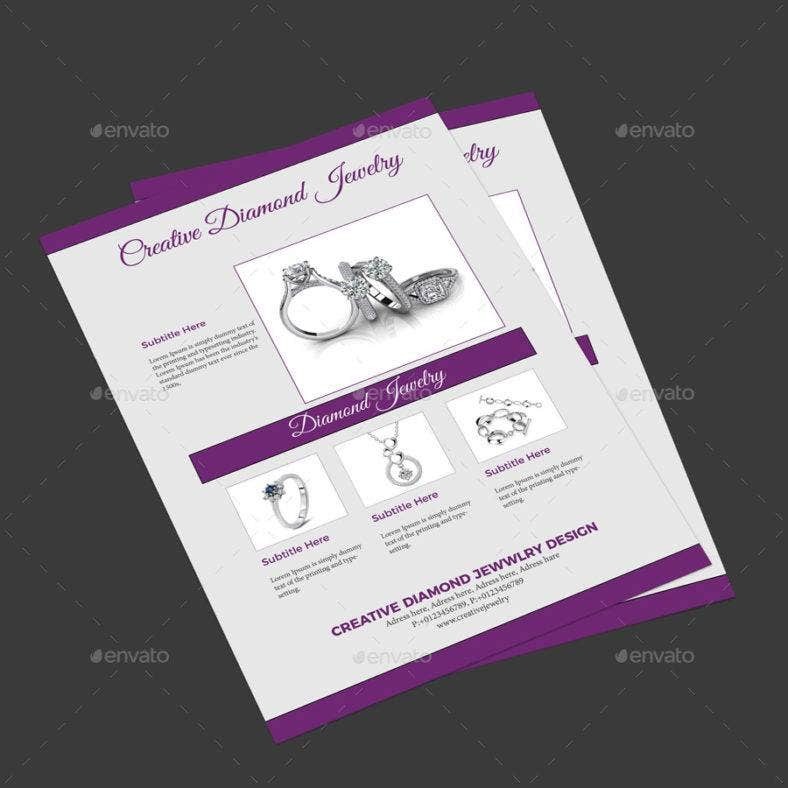 Also, your images will be framed in a geometrical manner that adds an extra flair to your flyer. The geometrical framing also gives it a more modern touch. This flyer is also fully customizable. It is indeed true that advertising your products now, with the help of technology and social media, to the market is a lot easier compared to when social media was non-existent. There is uncertainty in using and just letting your products and business in general, depend on social media, as every day, online, we are being constantly bombarded with advertisements, and every day our feeds and screens are being congested with numbers of different advertisements from different competitive businesses. 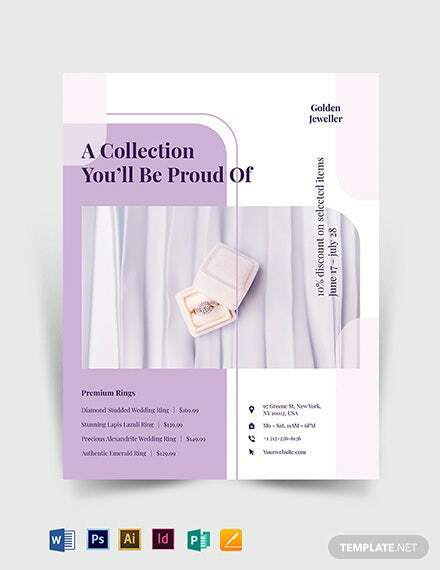 The beauty of this design, as illustrated above, is that you get to showcase a lot of the pieces of jewelry in your collection and the services that you offer as a jewelry business, without having to do it plainly or simply. The collage effect gives it a more fun and ‘trendy’ approach. This flyer design comes in three different colors and is fully customizable according to your business’ needs. This flyer design is a more simple approach compared to the ones listed above. 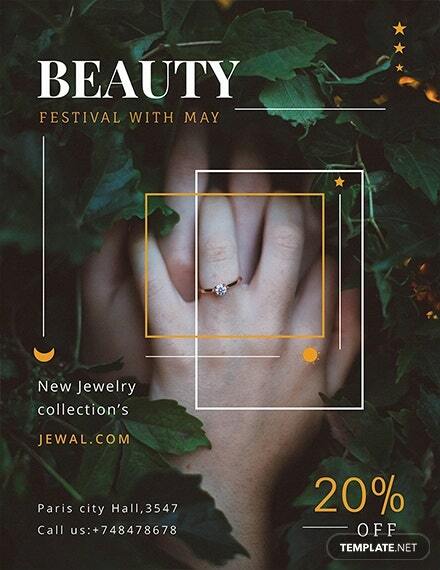 The simplistic and minimalistic approach of this flyer design gives you more space to fully showcase your jewelry pieces. The black background of this design will allow the images of your jewelry pieces really stand out for they beautifully contrast each other. This design comes in four design variations that are fully editable and customizable. 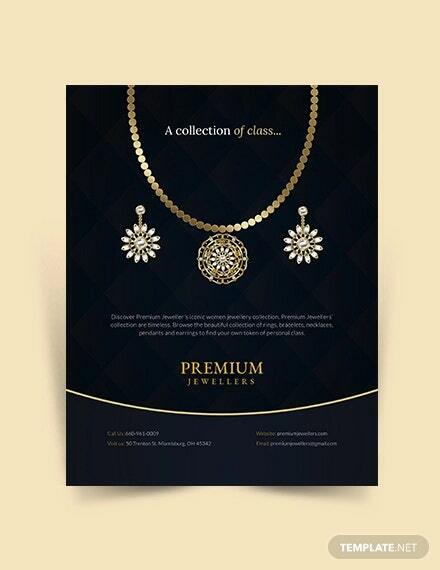 Here is a design for your jewelry flyer that exudes sophistication and ‘luxe’ despite the simplicity of the layout. The colors red and black perfectly complement each other, which in turn creates as said, a sophisticated and luxurious looking flyer. 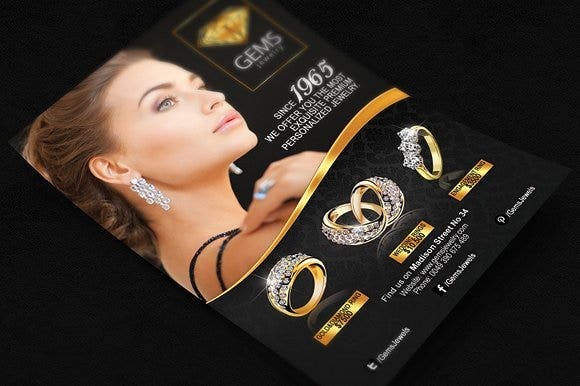 This flyer design is ideally perfect for product presentation as it allows you to showcase numbers of jewelry pieces in a single flyer. 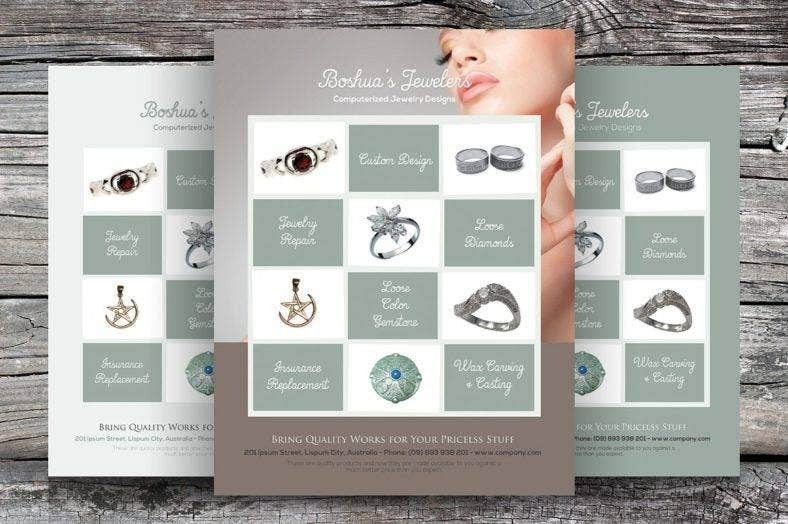 This is a flyer design of simple nature, this design offers any jewelry business owner a more straight-forward approach. Effectivity of this design should not be a concern, as the simplistic approach of this flyer design assures for it to be truly effective. To also note, this design comes in two different designs and is fully editable and customizable to your own preference. 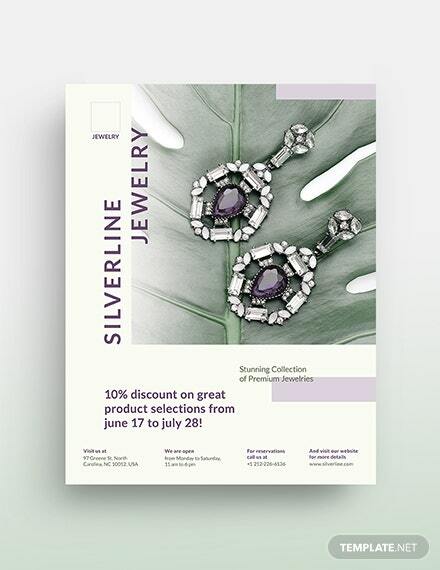 This elegant flyer design helps you promote your jewelry pieces in a really elegant way. The information and photos are laid-out in a way that is easy for your customers to see and read. 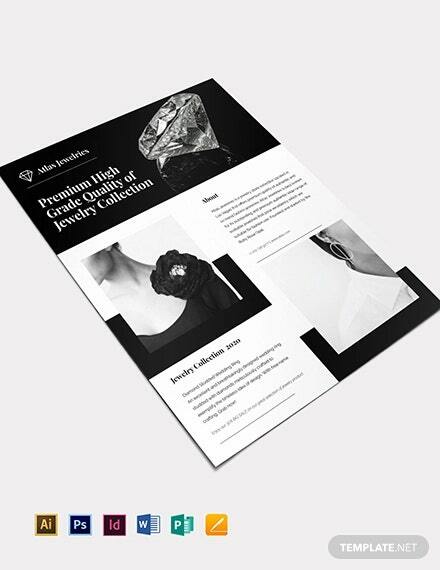 And the contrasting colors of black, white, and gold exudes that elegance for a flyer. This design is customizable and is a very easy template to use. Although this flyer design has that ‘in-your-face’ characteristic, its effectivity is certain. 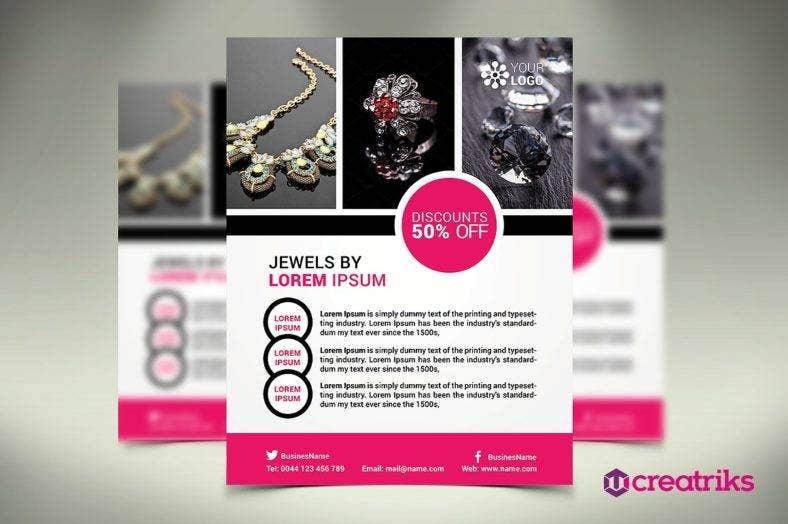 The way this flyer was designed was to make sure your customers will get the whole idea of what you are trying to sell them, as this design gives you more spaces to really feed them the necessary images and information. This flyer design is also fully customizable and you can customize it according to your brand’s needs and idea. This is a flyer design that is laid-out in a really organize and simple manner. This specific design is also an effective way to share information about your products and business as a whole, without looking ‘too cluttered’. The blunt and straight-forward layout of this design is its asset. This flyer design is also fully editable according to your business’ needs and idea. 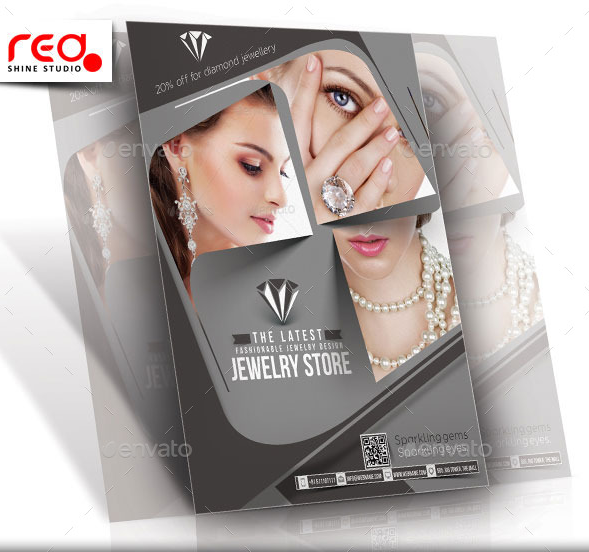 This flyer design is a more eccentric way of promoting your products by means of flyers. The way this design is laid-out helps deviate your flyer from the rest of the flyer designs out there. It is different, irreverent, but effective. This design is fully customizable and editable to your own preference. Sometimes keeping with tradition is the most effective way to promote and do things especially in advertising, as there is a sense of certainty and assurance. With how the way things work in the business and advertising industry, reaching your targeted customers should be an utmost priority to keep the whole venture going. It is okay to try newer and better things for advertising, but if it does not work, do not be afraid to go back to the more traditional ways of promoting things. 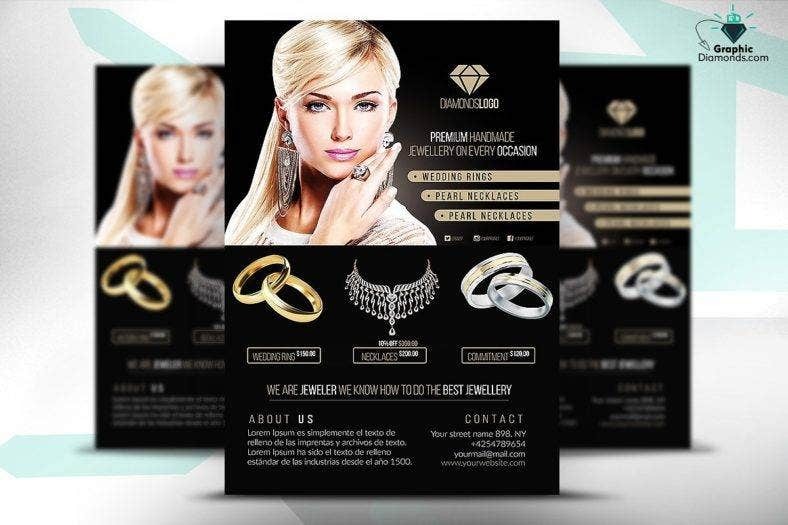 Hopefully, this list of pre-made flyer designs and templates, will not only convince you to go back to the traditional things, but also convince you to do more for your business other than depend everything to social media. With everything now being virtual and technology-based, it is a breath-of-fresh-air when things are tangible and is actually amidst our presence. 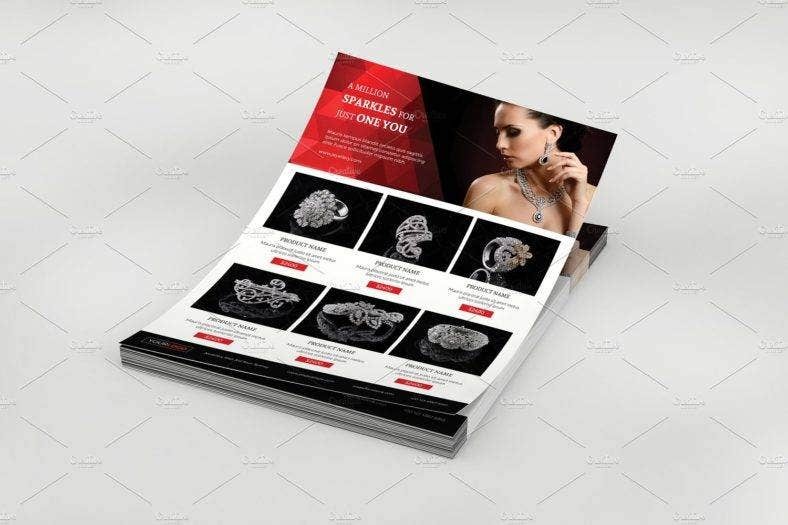 Lastly, do not forget to bookmark this page for easy accessibility and share this article to those also looking for the best flyer designs for their jewelry business.